Adam worked at HeLa in its early days, in the late 90's and early 2000's, before leaving for many years to pursue other life goals. The HeLa vortex brought him back in 2016. 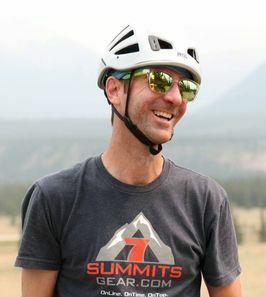 Adam is an ultra-runner, climber, biker, skier and all around explorer. A jack of all trades, his latest projects involve building his own tiny home and row boat. You may even spot him on a biking or climbing program at HeLa.